The study of historical populations has long supported innovative demographic research, beginning with the work of Graunt in the seventeenth century, increasing rapidly in the 1950s, and continuing to the present. This chapter documents the methods and materials used by explorers of past populations, and the main findings of the field. The section on data and tools shows how researchers make use of information (such as parish registers) originally created for other purposes, in order to undertake demographic analyses, and describes the tools used. Historical demographic research has produced valuable results about family changes over decades and centuries, especially in the timing of marriage and number of children, and has documented unexpected continuities in family life. Researchers have also explored the increase in life expectancy and improvements in quality of life, with the most recent research using sophisticated methods to link life experiences, health, and family formation. Haines, M. R. (2010). Historical, demographic, economic, and social data: The United States, 1790–2002 [Computer File]. ICPSR 2896-v3. Ann Arbor: Inter-university Consortium for Political and Social Research [distributor]. doi: https://doi.org/10.3886/ICPSR02896.v3. Merchant, E. K. (2015). 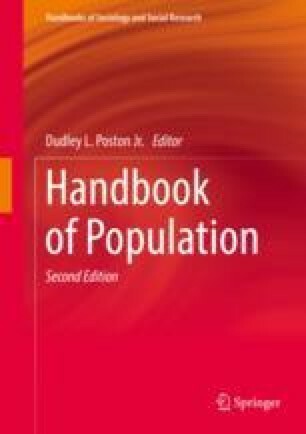 Prediction and control: Global population, population science, and population politics in the twentieth century. (Ph.D.), University of Michigan, Ann Arbor, Michigan. Retrieved from http://hdl.handle.net/2027.42/113440.